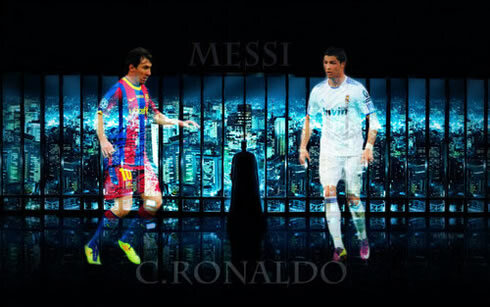 ﻿ Cristiano Ronaldo: "Messi and me? 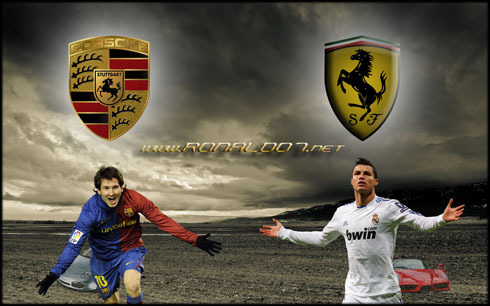 It's like a Ferrari and a Porsche"
08.11.2011 » Cristiano Ronaldo: "Messi and me? It's like a Ferrari and a Porsche"
After scoring another hat-trick for Real Madrid in the last weekend, Cristiano Ronaldo granted an interview to the German magazine "Kicker" this Monday. The Portuguese player talked about the two German players in Real Madrid squad, Mesut Ozil and Khedira, but he refused to compare Sir Alex Ferguson and José Mourinho by making an analogy with the seek for comparisons between himself and Lionel Messi, who he regards as different as a Ferrari and a Porsche. Before joining the Portuguese National Team, in order to start preparing the important playoff against Bosnia-Herzegovina later this week, Cristiano Ronaldo talked with the German media "Kicker" this Monday and approached several Real Madrid topics. Among several matters, the German publication was naturally willing to know Ronaldo's opinion towards Mesut Ozil and Sami Khedira. The Portuguese player also made a few remarks on Real Madrid's coach, José Mourinho, who he avoided to compare with Sir Alex Ferguson. Cristiano Ronaldo believes that comparing the two managers is as pointless as comparing him and Messi, since it's like looking at a Ferrari and a Porsche. Kicker: The exact number of goals you scored last season has raised some controverse, regarding that mark being 40 or 41 goals in La Liga. What do you think about this issue? Cristiano Ronaldo: "To be honest, one goal more or less isn't that important to me. I think that the controversial goal is also mine, because it simply got deflected on Pepe's head. But if we stick with the 40 goals mark, it's still good don't you think? I just want to thank my teammates and the club staff, because without them, I wouldn't be able to set such a record." Kicker: You already scored many goals in your career. Do you get the same joy for every one of them? Cristiano Ronaldo: "It depends on the moment and the importance of the match. When it happens in big games or big tournaments, I get different feelings and sensations after scoring a goal. Kicker: Are you aware that your goalscoring record has an incredible historical meaning in Spain? Kicker: What can you tell us about Mesut Özil and Sami Khedira? Cristiano Ronaldo: "I'm a good friend of both Özil and Khedira. They are two funny persons. I even seat next to them when we eat. They are constantly making jokes and we get along very well." Kicker: Many people say that Khedira keeps being on Ozil's shade, since he has a significant less visible role on the field. Cristiano Ronaldo: "That's natural to happen, because Khedira is completely different from Özil, who has the chance to score a lot more goals and has a better technique. But in my opinion, Khedira is very important, because he allows the team to have a better balance during the games and grant us the chance to play in a more compact way. They both have very important roles on this team." Kicker: What do you like particularly, in Özil's game? Cristiano Ronaldo: "It's the way he understands and reads the game. Özil always knows the right moment to pass the ball, or when he has to go for a dribble. He's simply a genius on that." Kicker: Did Mesut Özil somehow allow you to turn into a better player? Cristiano Ronaldo:" Yes, Özil has helped me becoming a better player. When we are surrounded by such great players, we can only develop and improve." Kicker: Were you surprised with how fast you and Özil matched and started combining on the field? Cristiano Ronaldo: "No. That was easy actually, because he's a very talented player and therefore we understood each other very quickly. We have a great bond and it's increasing with time. I'm really delighted to play with Özil. He is fantastic." Cristiano Ronaldo: "They have been working very hard in the practice sessions and they are waiting for their chance to help the team in games. Mourinho is certainly the best person to decide about the right time to give them the opportunity to get some minutes." Kicker: Your coach is also known as "The Special One". What does Mourinho have that makes him so special? Cristiano Ronaldo: "I don't know if "Special" is the right label and the best way to describe him, but it's true that he works in a different way when compared to the other coaches, and for that reason, he's better than everyone else. He has better ideas and he perfectly understands football. 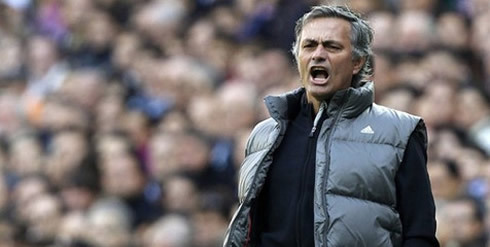 Due to that, Mourinho is most likely the best coach in the current days." Kicker: Is Mourinho better than Sir Alex Ferguson? Cristiano Ronaldo: "We can't compare Mourinho and Sir Alex Ferguson. It's almost as comparing me and Lionel Messi, or a Ferrari and a Porsche. I've worked with Sir Alex Ferguson for several years and I know he deserves everything he has won so far. He's very smart, an expert and above all, a person with great human qualities. Mourinho is similar to him, when he was younger." Kicker: Just a few days ago, Sir Alex Ferguson celebrated 25 years as Manchester United coach. Did you congratulate him? Cristiano Ronaldo: "I tried, but his phone was busy all the time. I've done it through Manchester United president though." Kicker: You said in several occasions that you work every day to become the best player in the World. Did you already achieve that objective? Cristiano Ronaldo: "No one never knows his own limits. I obviously try to learn something new every single day as well as improving season after season. I'm sure I'm still able to get better at some small things. If I start thinking that I've achieved everything I could, I certainly wouldn't win anything else in my career." Kicker: What's the most important thing for you, as a professional football player? Cristiano Ronaldo: "Titles. When you win a trophy with your team, you also receive invidual praises and awards." Kicker: If you had to decide between having fun while playing football, or to simply win trophies, what would be your choice? Cristiano Ronaldo: "I want to win trophies and by doing that, I'll have fun. That way I can get both." Kicker: You are an idol for many people around the World. Is there someone out there who you admire as an idol? Cristiano Ronaldo: "I don't have any particular idol, but I admire many people who has achieved great things. Among that list there are professional athletes, actors, journalists, etc. There are a few athletes who I really admire, specially in other sports, like basketball, tennis, or Formula 1." Kicker: How would you describe your life? Cristiano Ronaldo: "It's very simple and quiet actually, even though it's somehow strongly related to my football career. However, I try to have a normal life, by spending time with my family and friends. I appreciate doing normal things, like going to dinner in restaurants, or just go to the cinema. Sometimes, that can turn out to be hard to accomplish, but that comes with territory, since that's the life I've chosen to take and the dream I went for." Kicker: Do you live with your entire family? Do you like having people near you? 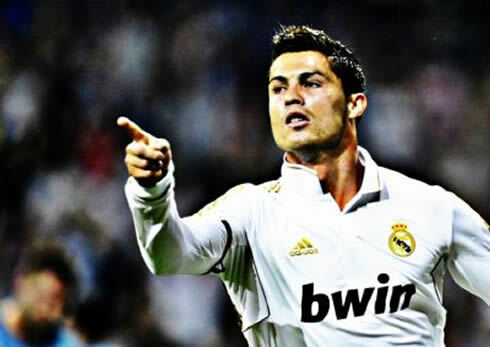 Cristiano Ronaldo: "Sometimes yes, others not. But it's true that most of the times I rather be surrounded by people than being alone." 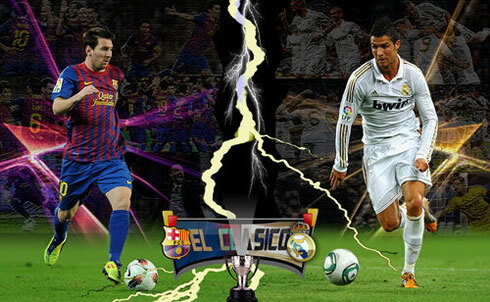 Real Madrid next scheduled game is against Valencia, for La Liga, on the 19th of November 2011. Cristiano Ronaldo has now joined the Portuguese National Team camp, in order to prepare the 2-games playoff stage, against Bosnia Herzegovina. The first leg will be played in Bosnia, next Saturday, the 11th of November. The 2nd leg will be played in Lisbon, Portugal, in the 15h November of 2011. The winner will qualify for the EURO 2012.